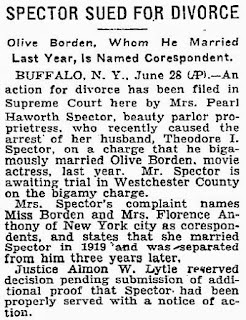 On March 23, 1931 Olive married thirty-one year old Theodore "Teddy" Spector. He was a handsome, six foot tall stockbroker. Teddy was born in Poland and had moved to the US when he was a toddler. He and Olive lived at 105 Graham Avenue (now Rosa Paks Boulevard) in Patterson, New Jersey. Teddy wanted Olive to give up her career but she refused. Just one year after their wedding she filed for divorce. In an interview she said "Ted wanted me to quit the stage but I simply cannot do it. I have been in the profession quite a while and I love it. We could not agree on the subject, so we decided the only thing to do was separate." A few months later Olive was shocked when Teddy was accused of being a bigamist. 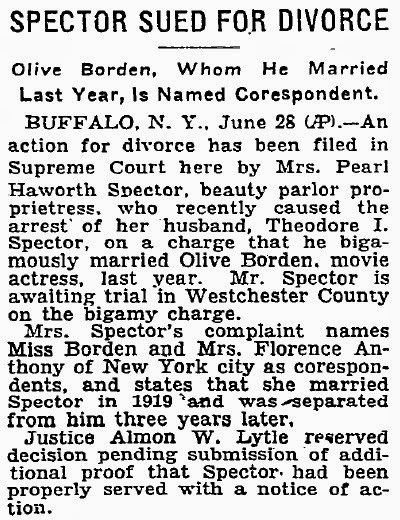 His first wife Pearl claimed Teddy had never legally divorced her before marrying Olive. The story made headlines all over the country and Pearl Spector gave several interviews to the press. 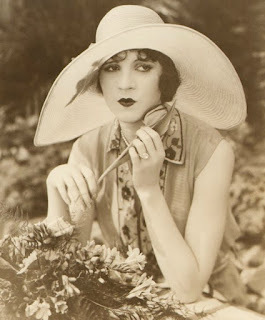 She claimed Teddy called her the day before he married Olive asking for a divorce. To make matters worse Teddy told her that he only married Olive because she threatened to throw herself off a ten story building. He was arrested but the bigamy charges were eventually dropped. 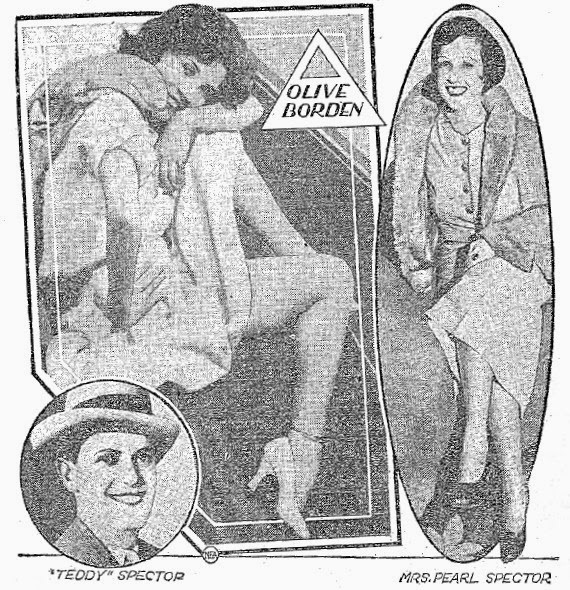 Olive's marriage to Teddy was annulled on November 21, 1932. She was humiliated by the scandal and the bad publicity hurt her attempt at a career comeback. In 1934 Teddy was arrested for illegally selling securities. He died on April 4, 1961 at the age of sixty.